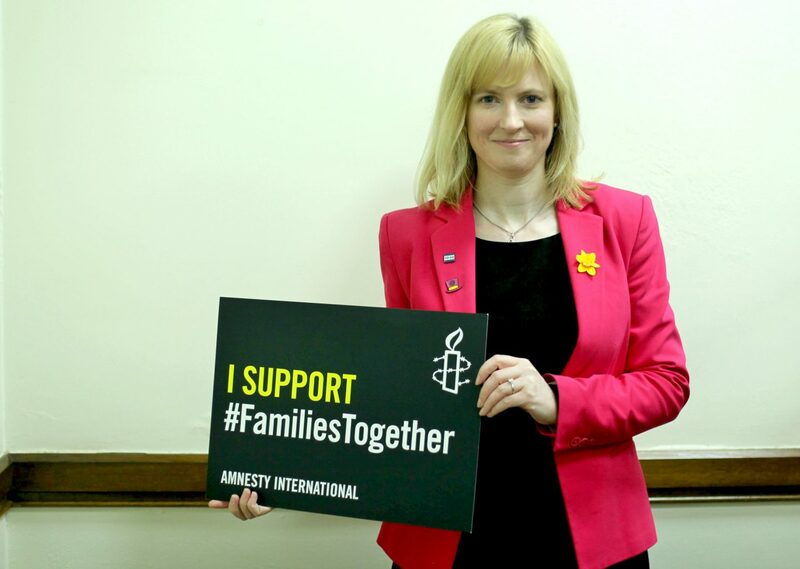 Rosie Duffield, MP for Canterbury has pledged support for the Private Member’s Bill on refugee family reunion. In the House of Commons today, Ms. Duffield met with members of the Families Together campaign to discuss the urgency of reuniting refugee families in the UK. Refugees who have been separated from their families continue to be remain apart from their loved ones because of current restrictive UK laws on refugee family reunion. • The reintroduction of legal aid so refugees can afford to navigate the complicated process of being reunited with their families. “Amnesty welcomes Rosie Duffield’s commitment to safely reuniting refugees with their families in the UK. “Child refugees are some of the most vulnerable in the UK. On their arrival they face a multitude of new struggles – a new language and culture, as well as the psychological fallout from suffering incredibly traumatic experiences back in their home country. “It is perverse that families are being kept apart by arbitrary rules. This is not a political issue, it is a family issue. Angus MacNeil’s Private Member’s Bill is supported by Families Together, a coalition of organisations including Amnesty International, STAR Network, Refugee Council, UNHCR and the British Red Cross amongst others.